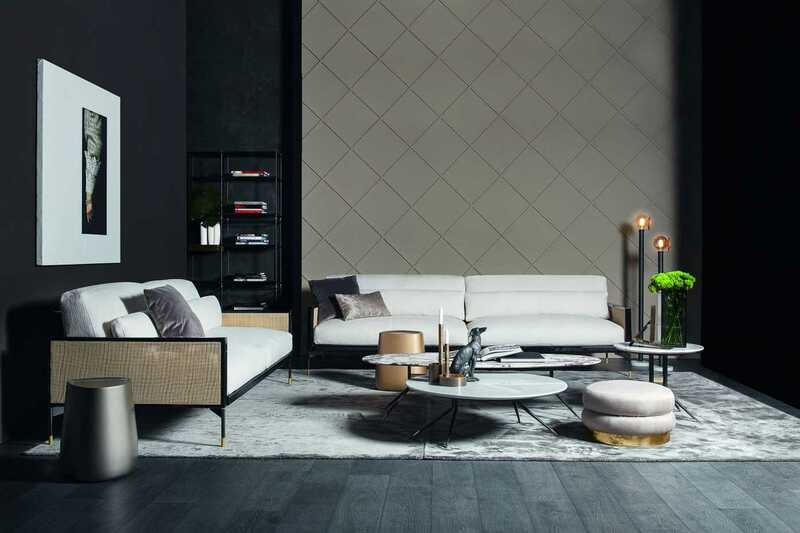 Modern Epoque characterizes Vibieffe's new collection. With Epoque we sublimated the Modern model, making it a piece of pure art: the sofa becomes both a furnishing item for relaxation as well as an icon of style for your living room. 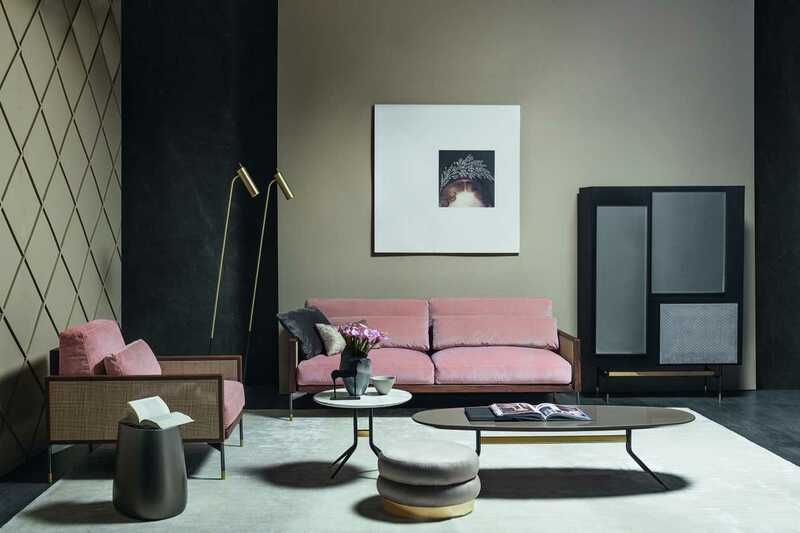 Presented in a variant with a slim armrest and single sofa, its structure is made of solid Canaletto walnut wood or polished black lacquered wood; its base quits fabric covers to show its naked wooden structure. Armrests and backrest's finishes are in Viennese cane, a material having antique and noble looks and manufacture.